Los Angeles based Children's Music Fund, a leading national children's music therapy charity, announces the appointment of four new directors to its Board of Directors: Danielle Everson Esq, partner at Clark*Everson LLP; Dr. Malika Gupta MD, board certified in pediatrics and allergy/immunology and founder of the non-profit, Foundation for Primary Immunodeficiency Diseases (FPID); Chris Safarian Esq, founder of Safarian Choi & Bolstad LLP; and Daffodil Tyminski Esq, co-founder of Tyminski Missakian. These additions to the Children's Music Fund's board of directors strengthen the organization's expertise in several key professional areas to support strategic planning, fundraising and resource development to advance the organization's mission of bringing music therapy into the lives of sick children to help overcome pain, fear, and anxiety. "The extensive professional background and strong passion for service held by each of our new directors will provide our organization with fresh perspectives and additional experience in non-profit operations and advancement," said Dr. Raffi Tachdjian, President and Founder of Children's Music Fund. "As Children's Music Fund enters a growth phase dedicated to expanding our reach in underserved communities and providing more hours of music therapy to children in need, we are grateful for the guidance and contributions of our board of directors, staff, volunteers, and especially, our countless supporters." Danielle Everson is a partner at Clark*Everson LLP, a boutique law firm specializing in employment counseling and litigation for businesses. Ms. Everson strongly believes in championing causes that support children. Prior to Children's Music Fund, she served as a Board Member for the Boys and Girls Club of Greater Oxnard and Port Hueneme. Dr. Malika Gupta is a physician specializing in Pediatrics and Allergy/Immunology. Dr. Gupta is also a founder of the nonprofit, Foundation for Primary Immunodeficiency Diseases (FPID), which supports the education, diagnosis, treatment, and research in primary immunodeficiency diseases (PIDs) in India and the US. Her connection to music originates from her mother's family and she is actively involved in radio and writing music. Chris Safarian is a founder of Safarian Choi & Bolstad LLP, a boutique law firm based in downtown Los Angeles. Mr. Safarian's practice focuses primarily in the area of real estate transactional law, but he also services clients in the areas of corporate and dispute resolution matters. He has served as an Adjunct Professor in the Dollinger Master of Real Estate Development Program at USC's Sol Price School of Public Policy, and regularly guest lectures at law schools throughout Southern California. Mr. Safarian is along-time support of the Children's Music Fund. Daffodil Tyminski is a co-founder of Tyminski Missakian, a boutique Los Angeles law firm specializing in corporate transactions, real estate, and litigation. Previously, she worked for the United States Attorney's Office in the Central District of California. In addition to practicing law, Ms. Tyminski also serves on the Venice Land, Use and Planning Committee for the City of Los Angeles. She is a musician and supporter of children causes. With the addition of these directors, Children's Music Fund's board of directors is at 10 members. For 16 years, the non-profit has provided more than 2000 hours of music therapy to chronically ill children in nine states, with a concentrated focus on chronically ill children in Southern California's underserved communities. 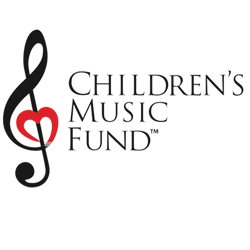 Children's Music Fund is headquartered in Encino, Calif.